Tackling the high points of the Cairngorms in a route that links some of Scotland’s high ski resorts with icons like the Forth Bridge, this year’s Colliers Cycle Ride promises to be as spectacular as it is challenging. 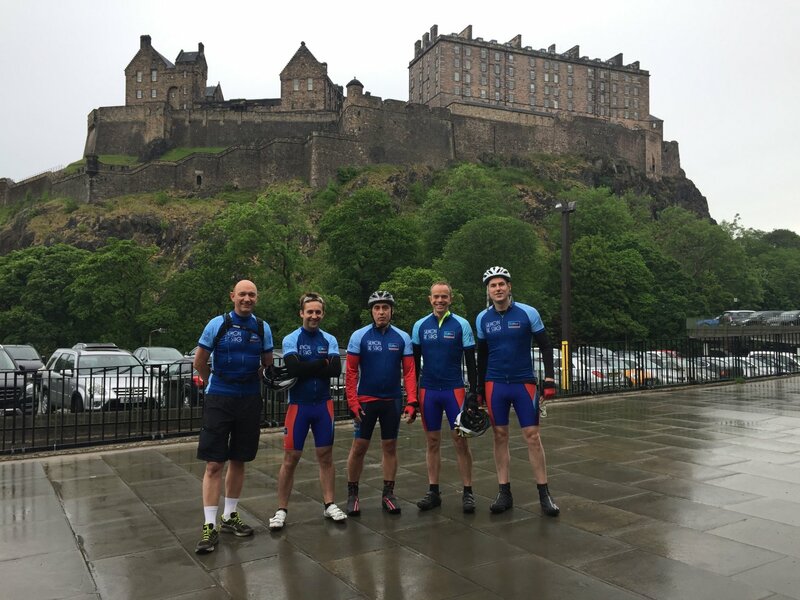 Dozens of cyclists from the commercial property firm’s offices across the UK joined their colleagues at Colliers International’s teams in Scotland at the start line in Edinburgh this morning, in a bid to complete the gruelling tour and raise thousands of pounds for charity. The peloton will cross the Forth Bridge and proceed to the River Tay, up to Pitlochry and then into the Cairngorms, following a route that takes in the ski resorts of Aviemore, Lecht and Glenshee. The Scottish contingent includes veteran riders such as Richard Whitfield, who has already completed five Colliers cycle rides, and first-timers Hannah Murray and Howard Ounsley.